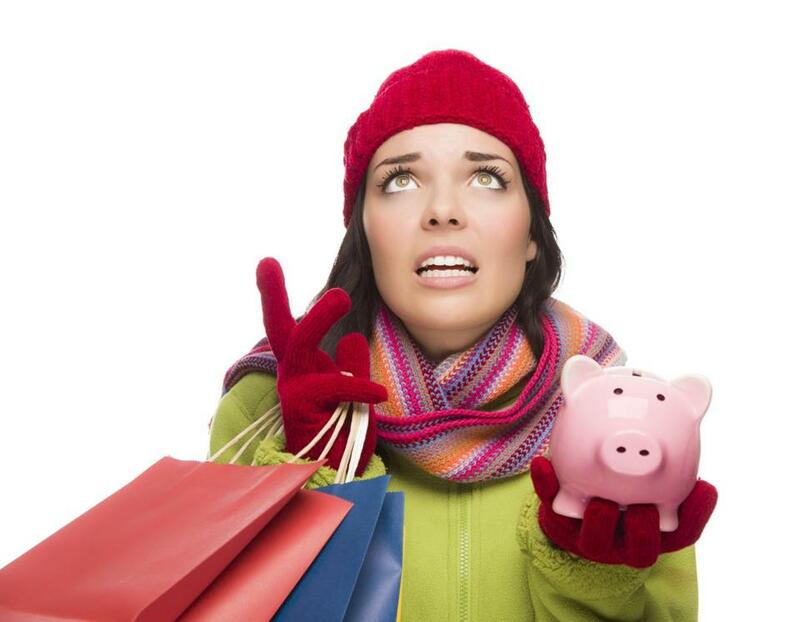 According to a poll, most of us would rather save our pennies instead of feeling pressured to swap presents. Between the cost (it’s predicted we’ll each drop about $1,007 on holiday gifts this year) and the pressure to get just the right thing, it’s no wonder 69 percent of us have said we’d skip swapping gifts if we could. Well, we can — and we’ve got tips for opting out gracefully. But because many of us will spend the next few weeks stressing, shopping, and spending anyway, we’ve got expert advice and strategies for surviving and saving there, too. If you’ve committed to forgoing presents, rest assured that more than a few people on your list will be envious of your bold move, even if they don’t say so. According to a 2017 Harris Poll, the 69 percent of people who said they’d rather not buy gifts said they would rather save that money or use it to pay down debt. Who could blame you for that? If not reciprocating feels uncomfortable, preempt the gift swapping with a handwritten card. Let people know that while you are skipping gifts this year, you wish them a happy holiday. When you’re making your list and budget, it’s OK to limit the list to close friends and family. Yes, there are magazines and social media posts telling you to remember gifts for your hairstylist, dog walker, mail carrier, personal trainer, and the person who collects your trash. You have permission to leave these folks off your list if including them adds to your stress and debt. If you want to wish them a happy holiday, do it with a card. If your child’s teacher is on your list, skip the soap and coffee mug filled with chocolates and write her a sincere note thanking her for her work with your child. If you’d prefer to buy a gift, consider a gift card for classroom supplies, or visit donorschoose.org to see if he or the school is raising money for class resources like laptops or books. Search the site by school, city, or neighborhood. Once you have a list, stick to your budget. Americans have increased their holiday spending every year since 2009, according to the National Retail Federation. Their top three purchases are gift cards, clothing and accessories, and books and media, respectively. And that first one may not be as appreciated as you hope; Forbes reported last year that $1 billion in gift cards go unused each year. A less expensive creative gift that is thoughtful can have as much if not more effect than a pricey one. Swann suggested finding inspiration in the recipient’s hobbies or interests. If a friend has a social media page with photos of a bucket-list vacation, turn the photos into a calendar, stationery, or ornament. A donation to a cause or nonprofit can be an affordable way to get a lot of shopping done if you donate with a group of recipients in mind. “You don’t have to say how much,” Thomas said. A note about the cause or group is enough. The gift of a future experience — dinner, a craft class, a hike, or free baby-sitting — is two gifts for the price of one. Thomas said this works well for a group. Rather than swap presents with everyone in your book club, she suggested planning an outing such as a museum visit. Presentation can elevate a small gift to something especially nice, Swann said. Top your gift with ribbon and a candy cane or sprig of holly instead of a bow. Print festive gift tags from an online template or decorate white butcher paper. Google can help you here with ideas. Annmarie Timmins can be reached at annmarie.timmins@globe.com.